Glamorous pearl necklace with rose pendant and salmon pink accents. A fabulous traditional necklace accented with salmon pink beads and crystals to add a romantic touch to your Trachten dress. 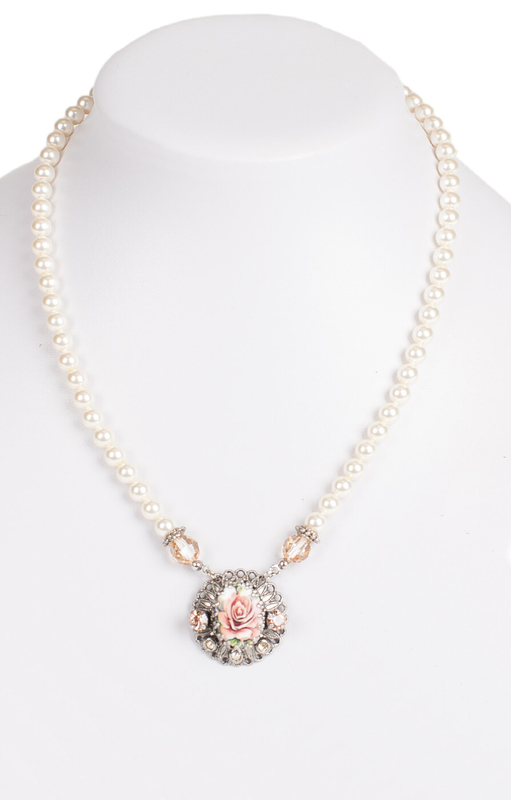 Featuring an elaborate cabochon rose pendant set in silver filigree and surrounded by peach pink crystals, this splendid prince-style pearl necklace would make a tasteful gift to present your sweetheart with at Oktoberfest.